"The perfect place to spoil your mum or best friend - and all the therapists have impeccable CVs"
All of our classes are led by master practitioners, expert in their individual field. Kiki brings a wealth of knowledge to the Sentosa Studio combining her extensive knowledge of Vinyasa Yoga, Natural Health and Nutritional Therapy. Kiki has many years’ experience teaching and guiding her clients to optimum health by embracing a holistic approach to well-being. The main focus of Kiki’s teaching is finding physical and mental balance by adopting a structured and long-term approach to health and wellness. Kiki is qualified in Vinyasa Flow & Restore, Hatha and Pre-Natal Yoga. The underlying ethos of Kiki’s teaching is finding physical and mental balance with simple yet powerful lifestyle changes. Deepa provides private tuition for 75 minutes on request Mondays – Saturdays. Deepa began teaching fourteen years ago, originally training in India to practitioner level and continues to share her extensive knowledge and guide students in each aspect of their practice. The private tuition Deepa provides allows students to experience the transformational benefits achievable through regular, focused Vinyasa practice. 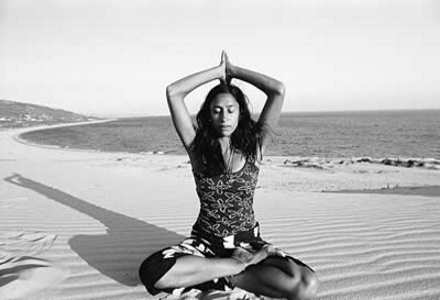 Deepa’s classes are Vinyasa based with emphasis on integrated breathing and movement, allowing precise alignment so inner and outer strength can be sustained. Throughout each class Deepa adapts her approach to the individual needs of each student. 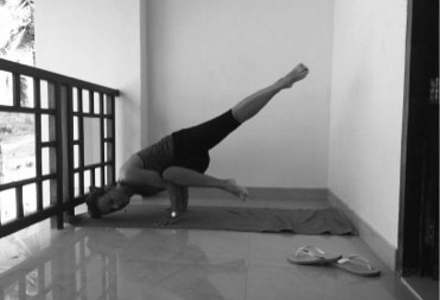 Vinyasa practitioner Emily provides private tuition. Emily discovered Power Yoga eight years ago whilst searching for a dynamic approach to her own wellness regime. This discovery inspired Emily to embark on a new career and 200 hours of teacher training and eight years later Emily continues to guide, teach and develop students of all abilities. This powerful Vinyasa method combines Asanas (poses) and Pranyamas (breathing) to reduce mental fatigue, quiet the mind and strengthen the body. The techniques applied in Emily’s classes are designed to develop students in a supportive environment allowing the full benefits of yoga to be realised.